Stirlin Developments recently purchased the former garage and filling station at 3 Lincoln Road, Saxilby for redevelopment. Since our last update, Team Stirlin have been busy demolishing the garage and preparing the site. The name “Parman Court” was suggested by Liz Hillman, a Saxilby resident, as an homage to the Parman family who built the original garage at the end of Mill Lane and opened for business in 1937. 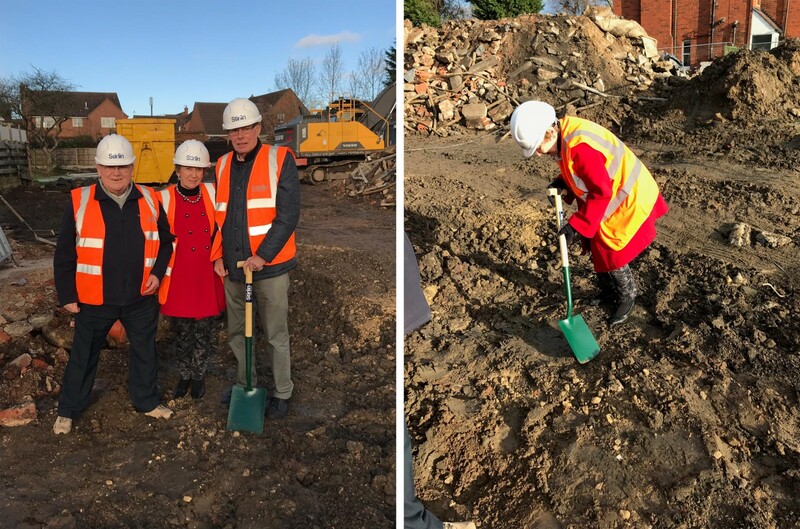 With this in mind, we invited some members of the Parman family to the site to turn the first sod with Paul Wheatley, our Senior Project Manager. The development will offer both three and four-bedroom homes. Plot 3 has already been reserved and we have a large amount of interest in the remaining 4 plots. For more information on this development, call us on 01522 682752.